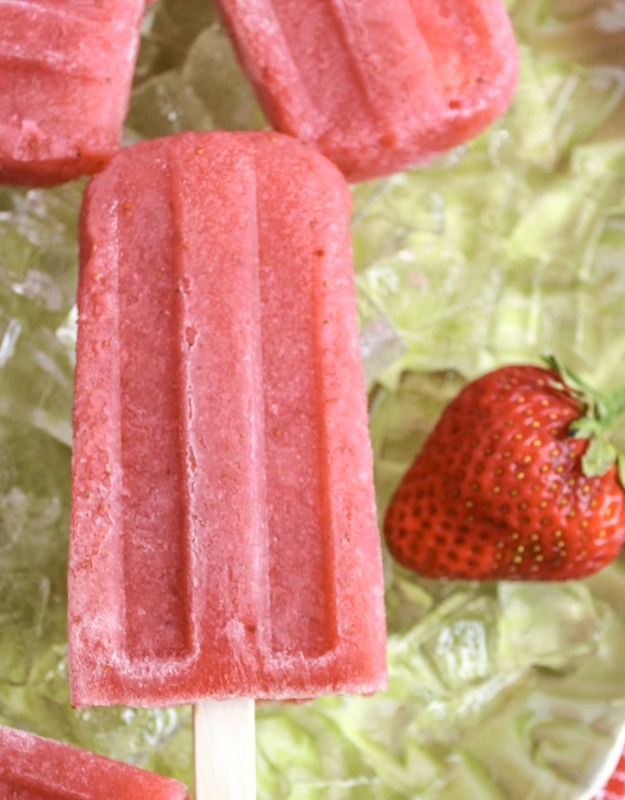 Hot summer days call for a cool refreshing treat like Fresh Strawberry Daiquiri Popsicles. 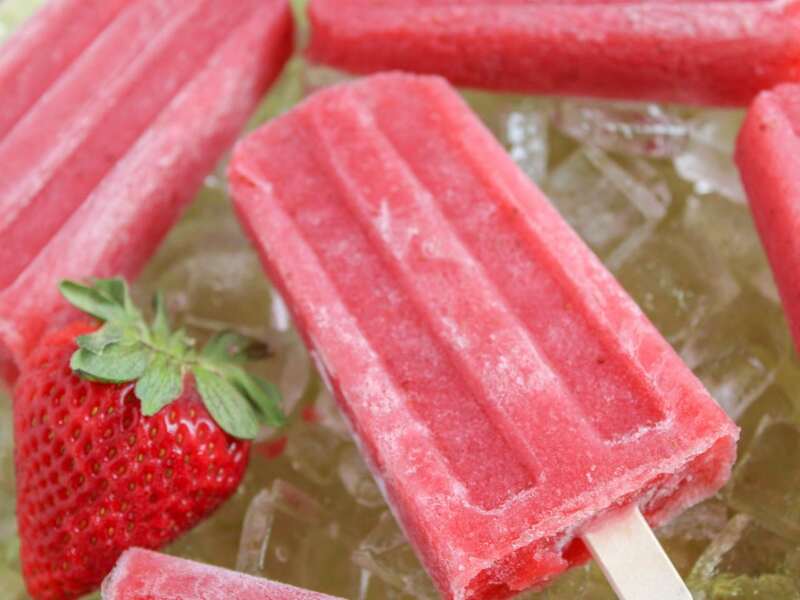 These delicious boozy (or virgin) popsicles are made with strawberries, lime and a splash of rum. You could wait until five o’clock to enjoy one but why would you? There’s two things you can count on during the summertime in the South. The first is that the heat and humidity are stifling. The second is that everywhere you go people are going to talk about how hot it is. 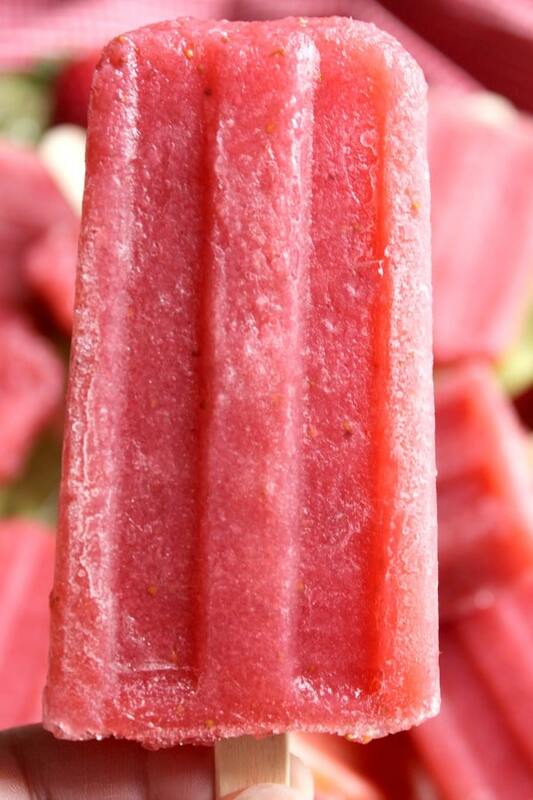 The best way to beat the heat is a cool delicious treat like these Fresh Strawberry Daiquiri Popsicles. These icy treats are perfect for enjoying in the evening after dinner or on a hot weekend while taking a break from fun in the sun. Simple syrup is combination of sugar and water. This mixture is a common ingredient in drink recipes including iced coffees and cocktails. Can you make simple syrup at home? Making simple syrup is super easy. Simply combine one part water with one equal part sugar. Then in a saucepan over medium high heat warm water, but do not boil, until hot and sugar dissolves. You can store simple syrup in an air tight container in the fridge for up to a month. For this recipe you’ll want to combine 1/3 cup of water and 1/3 cup sugar to make the syrup. Some once the sugar dissolves you should have roughly 1/4 cup of simple syrup. 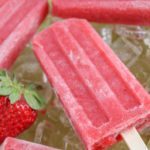 To make these Fresh Strawberry Daiquiri Popsicles you will need one pound fresh strawberries. To prep the strawberries wash and then pat dry. Next slice and hull the strawberries. Pour the strawberry slices into a blender or food processor then add lime juice, simple syrup, and rum. Blend together until smooth. Pour the strawberry mixture into the popsicle mold and place in freezer. The popsicles need to freeze for at least six hours. If you are making these with rum they will not freeze solidly. They will have a slightly slushy texture. If you want to make these virgin, sans alcohol, replace the rum with ginger ale! 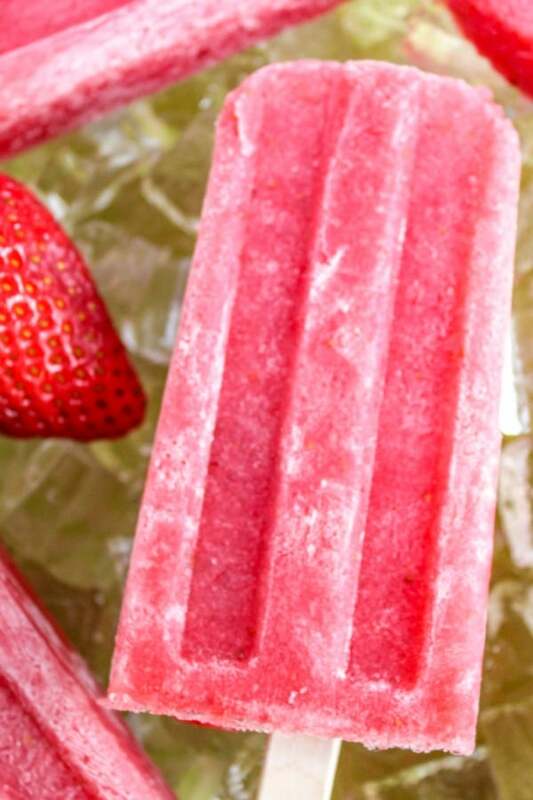 These delicious boozy (or virgin) popsicles are made with real strawberries and lime.